When the dark winter nights arrive it means the festive season is here, and Kiev’s bars and restaurants are getting ready for their final but biggest events of the year. Bring in 2020 with style and join us on our New Year city break to Kiev, where you can experience a fabulous Ukrainian New Year with a difference! Delicious food - and still relatively cheap! Welcome to Ukraine! Upon arrival we will transfer to our hotel in Kiev. When evening comes, we can gather together and enjoy a welcome drink with other Solos guests before having dinner at a local restaurant. 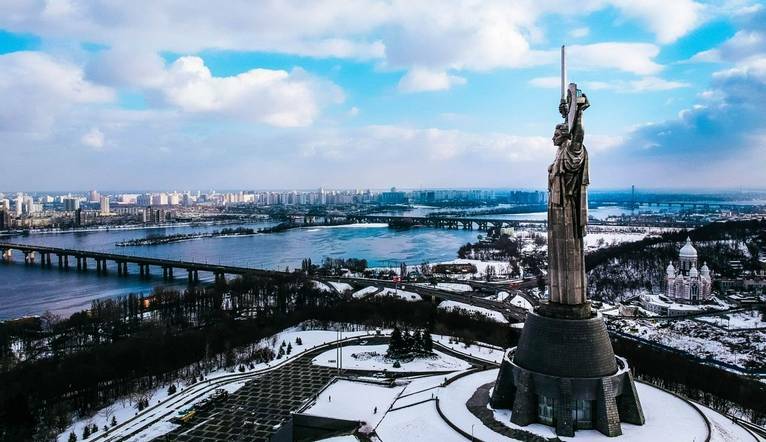 After breakfast we will begin our guided city tour of Kiev, where we will get to know Kiev’s history and learn about the strong spirit of people who fought for their freedom. Our tour will first take us through Podil (Lower Town) - the oldest district of Kyiv - and Kontraktova (Contract Square) in the heart of Podil, before bringing us to the hillside pedestrian street of Andriyivskyy Descent, with its picturesque views over the Dnipro Valley. Sometimes known as the Montmartre of Kyiv, Andriyivskyy Descent is one of the most ancient streets in the Ukrainian capital. In the 19th-20th centuries, mainly artists, musicians and writers lived here; today the numerous artistic salons, galleries, and art-cafes create a special vibe here. Later on we will visit Saint Sophia’s Cathedral, famous around the world as a masterpiece of architecture, fresco painting and mosaic art. St Sophia’s Square is home to cosy markets and the country’s main Christmas tree, illuminated with myriads of lights. After our tour we’ll go back to the hotel to freshen up before our New Year’s Eve celebration. To bring in 2020, we will indulge in an unforgettable Gala Dinner in a local restaurant while learning about the New Year celebrations in Ukraine, tasting traditional food and making wishes for the year ahead. After breakfast, you can spend the first day of 2020 relaxing, recovering or exploring the beautiful city sitting on your doorstep. 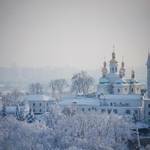 In the afternoon we will gather together to explore Kiev a little bit more, visiting the UNESCO-listed Kyiv Pechersk Lavra, also known as Kyiv Monastery of the Caves, a complex system of narrow underground passages and temples. 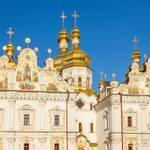 Today Lavra remains the most important pilgrimage place in Ukraine. On our visit we will learn about asceticism and see beautiful churches, decorated with paintings, monk’s cells and defence towers. Next we will visit the St. Michael’s Golden-Domed Monastery and the government quarter, admiring its magnificent buildings such as the House with Chimaeras and Mariyinsky Palace. Afterwards, we will take a short stroll through Kiev’s most famous and well-trodden street, Khreshchatyk, and briefly stop at Maidan (Independence Square). In the evening we will gather together for our last dinner. After breakfast we will visit the largest open-air museum in Europe: Pyrohovo. Here we will learn about the Cossacks’ traditions, and see churches, factories, farmhouses and windmills. We will also be able to enjoy ancient Ukrainian folk music and learn about what life was like in the Ukrainian village in past centuries. In the afternoon, we will have some time to grab lunch and buy some souvenirs before our transfer to the airport for our return flight home. Our hotel is located right in the centre of Kiev. Clambered upon a hill, it’s nestled in the heart of the business and tourist districts of the capital. 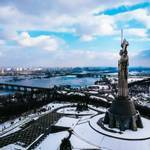 The famous street - Khreshchatyk - is just few steps away. Palats Sportu metro station is also nearby, and the hotel offers brilliant views of the Olympic Stadium - the main sports arena in Kiev. The hotel is a great base for exploring the shops and restaurants of Khreshchatyk. At Premier Hotel Rus there is a restaurant serving Ukrainian, American, Asian and European cuisines as well as three bars. Standard rooms include satellite channels, air conditioning, free WiFi, telephone, safe, refrigerator, bathroom, radio and wardrobe. Entrances to Kyiv Pechersk Lavra, St.Sophia’s Cathedral, St. Michael’s Golden-Domed Monastery and Pyrohovo Open - Air Museum. You may be asked to provide evidence that you have sufficient funds to support you during your stay. The Ukrainian authorities accept the following as a proof of sufficient funds: cash, bank cards along with bank statements, accommodation bookings, tourist vouchers, a letter from the person or company you’re visiting stating that they will cover your expenses, a return ticket or onward travel ticket. You can find more information on the websites of the Ukrainian Embassy in the UK and State Border Service of Ukraine. If you’re travelling without a visa, your passport should be valid for the proposed duration of your stay. No additional period of validity beyond this is required. If you’re applying for a visa, your passport may need to have an additional period of validity. Check with the Ukrainian Embassy in London for further details. The transfer time between Kiev Airport and the hotel Premier Hotel Rus 3* is approximately 40 minutes, depending on the traffic. 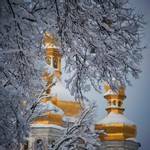 During your holiday, we have included a guided tour of the Kiev city and Pyrohovo open-air museum. Dressing in layers with warm, casual evening wear is recommended with comfortable footwear. Warm waterproof shoes are also essential with warm socks, gloves, hat and scarf. Winters in Ukraine are usually cold. Dress code for New Year's Eve dinner is smart casual. A reasonable level of fitness/ mobility is required.